Product prices and availability are accurate as of 2019-04-02 03:08:59 EDT and are subject to change. Any price and availability information displayed on http://www.amazon.com/ at the time of purchase will apply to the purchase of this product. 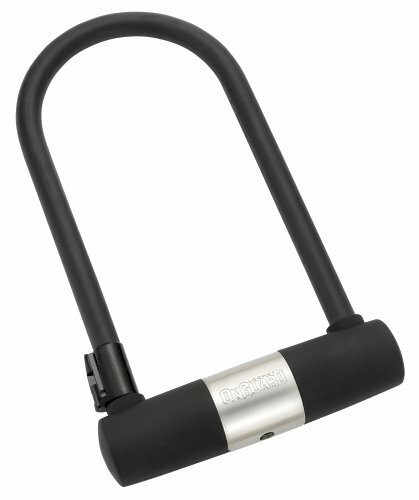 Popular shackle length with X2 Power Double Bolt protection. X2 Power Double Bolt Locking Mechanism locks shackle on both sides M-Cylinder resists all attacks from picking, pulling or drilling Popular 115mm x 230mm (4.53" x 9.06") shackle length Hefty 13mm (0.51") hardened steel shackle resists cutting, prying and jacking Rounded design and centered keyway eliminates pry points. 5 Laser Cut Keys, 1 with a LED micro-light.